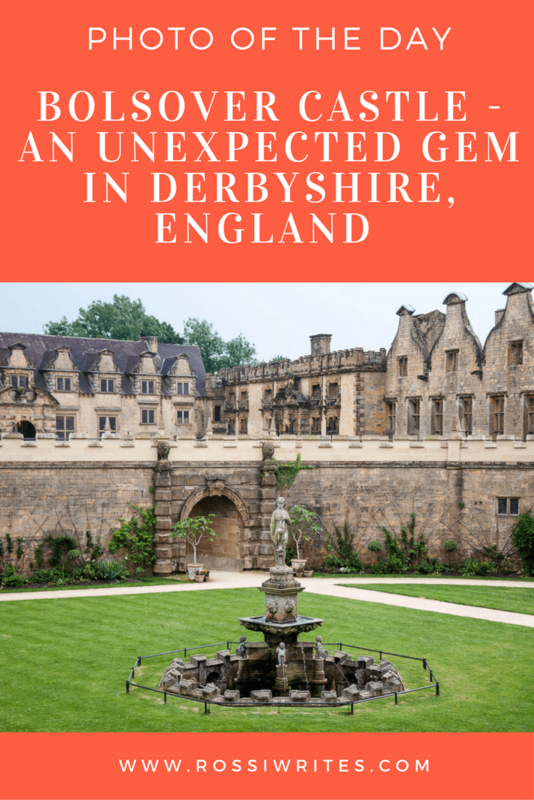 This summer we were on a mission – to see as many stately homes and castles as we possibly could in the three weeks which we spent in England. Among all the stunning palaces and places we managed to explore, one really stood out. Called Bolsover Castle, you will find it in a small town, also called Bolsover, in the English county of Derbyshire. The castle is impressive. Its history is captivating. A visit there opens a lot of windows onto the life of the English aristocrats and the tradition of horse-training and horse-riding. It also provides a stark reminder as to how quickly time flies and how cruel it can be stripping the life and colour off what once were the epitome of a place built for elegant living. For the massive in its size and its ambition Great Hall of the castle is nowadays missing its roof and where once lavish banquets took place now you can see moss and grasses quietly growing. The castle as a whole is not a sorry ruin though. It offers a lot to the person interested in spending time exploring its former glory and finding interesting bits of information about its history and the people who shaped it. I am still working through the bunch of photos I took this summer and, as soon as I am ready, there will be a separate in-depth blog post here about Bolsover Castle. It really deserves it. In the meantime, I want to show you this particular picture. Here you can see the dramatic Venus fountain surrounded by the castellated wall of the Little Castle – one of the main buildings which make the puzzle of the Bolsover Castle so interesting to explore. You can actually walk on the wall and enjoy from it some stunning views which open over the plains of Derbyshire. In the background, you can see the proud remnants of the Great Hall on the right-hand side, while on the left-hand side and with its roof still intact is the Riding House and the adjacent to it stables. Have you been to Bolsover Castle in Derbyshire? A visit to which castle in England or anywhere in the world for that matter you still cherish the memory of? Let me know. Thank you!